Noson o ganeuon, chwedlau a barddoniaeth yn yr iaith Gwrdeg, Zazaki a’r Gymraeg. An evening of Kurdish, Zazaki and Welsh songs, tales and poetry. Çar zonu de jü sewa lawıkan u hêkatan u şiiranê Zazaki, Kurdki u Gelki. 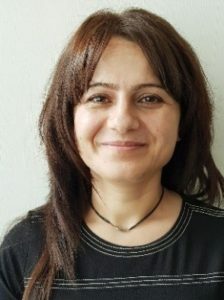 Şeva Xwendinê a stran, çîrok û helbesta Galî û Kurdî û Zazaki. 18:30, Tuesday, June 26th, Chapter Arts Centre, Cardiff. 18:30, dydd Mawrth, Mehefin 26ain, Canolfan Gelfyddydau’r Chapter, Caerdydd. No performans parçê projê Wales PEN Cymruyo ke va phışti bıdê heqanê zonê Kurdki (u Zazaki). Muzisyen u sairê Zazay u Kurdi u Welizi yenê têlewe, pia jü sewa lawıkan u sanıkan u şiiru anê pêser u seba heqanê zoni jü xoverdaiso wertağ musnenê. Ali Sizer (muzisyen u aktivisto Kurd), Geraint Rhys (vatoğ u têbestoğo Weliz) u clare e. potter (saire) performans anê meydan. Ali Sizer, dengbêjo Kurdo u saz cıneno, Newport de ebe cüanıkanê Kurdish Community Centre (Merkezê Cematê Kurdu) ra pia guriyo. O, sahne de ca cêno, sair u muzisyenê Welizi ki tey vecinê. Wales PEN Cymru 145 merkezanê PENi ra jüyo, 100 dıwelu ra jêde dina de. PEN International ra gırêdaiyo, uyo ke dina de vengê edebiyati’o serêno. PEN phışti u yardım dano edebiyat u serbestiya ifadey mudefa keno. Xêrê nuskaranê dina rê xo ver dano, êyê ke teqib benê, erjinê hepıs, bınê zor u zarpey derê, seba çiyo ke inu nusno. Komitê xo estê ke nuskaranê mapusu, heqanê çarnais (tercume) u ê zoni temsil kenê, nuskarê cênıki, jü ki kometê dê haştiye. Ev pêşkêşkirin beşek e ji projeyek e PENa Galî/Kimrî ji bo piştgiriya mafên zimanê kurdî ye. Hunermendên Kurd û Galî û Zazaki digihên hev ji bo şahiyeke stran, çîrokên gelêrî û helbestê û têkoşaneke hevbeş a ji bo mafên zimanî nîşan bidin. Ali Sizer (muzîkjen û çalakvanê Kurd), Geraint Rhys (stranbêj û strannivîsê Galî) û clate e. potter (helbestkar) dê beşdar bibin. Elî Sizer, stranbêj bi Kurdî (dengbejê kevneşopdar) û tenbûrvan, li gel komek ji jinên ji Navenda Civaka Kurd li Newport kar dike. Vê êvarê, dê ew ji bo me hin çîrokên keleporî yên Kurdî bistirên. Elî Sizer dê pêşkêşke û dê muzîkvan û helbestvanên Galî tevlê bibin. PENa Galî/Kimrî ji 145 navendên PENê yek e ku li seranserê cîhanê li sed welatî peyda dibin. Girêdayî PENa Navnetewî ye, a ku berdevkeke bihêz a edebiyata cîhanê ye. PEN piştevaniya edebiyatê dike û mafê derbirrînê diparêze. Çalakiyan li dar dixe ji bo nivîskarên li seranserê cîhanê ên ku tehdeyê dibînin, tên girtin, acizkirin û tûşî êrîşan dibin ji ber tiştên ku nivîsîne. Desteyên wê hene ku nivîskarên di girtîgehan de, wergerê û mafê zimanî, û nivîskarên jin temsîl dikin û her weha desteyeke wê a aştiyê jî heye. Mae’r perfformiad hwn yn rhan o brosiect Wales PEN Cymru i gefnogi hawliau ieithyddol Cwrdaidd. Bydd cerddorion a beirdd Cwrdaidd a Chymraeg yn dod ynghyd i greu noson o ganeuon, chwedlau gwerin a barddoniaeth ac i arddangos y frwydr ar y cyd dros hawliau ieithyddol. Ymysg y perfformwyr bydd Ali Sizer (cerddor a gweithredydd Cwrdaidd), Geraint Rhys (canwr/cyfansoddwr Cymraeg) a clare e. potter (bardd). 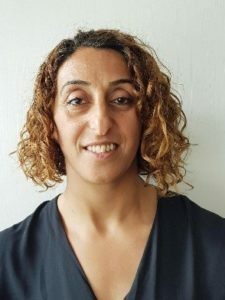 Bu Ali Sizer, sy’n canu yn y traddodiad Cwrdaidd dengbek ac yn chwarae’r saz, yn cydweithio gyda grŵp o ferched o Ganolfan Gymunedol y Cwrdiaid yng Nghasnewydd ac ar y noson cyflwynir rhai storïau Cwrdaidd traddodiadol ar gân. Ali Sizer fydd yn perfformio gyda cherddorion a beirdd Cymreig yn ymuno ag ef. Mae Wales PEN Cymru yn un o 145 o ganolfannau PEN mewn dros 100 o wledydd ar draws y byd. Mae’n gysylltiedig â PEN Rhyngwladol, prif lais llenyddiaeth ledled y byd. Mae PEN yn hybu llenyddiaeth ac yn amddiffyn rhyddid mynegiant. Mae’n ymgyrchu ar ran ysgrifenwyr o bob cwr y byd sy’n cael eu herlid, eu carcharu, eu poeni neu’n dioddef o ymosodiadau oherwydd eu gwaith ysgrifennu. Mae iddo bwyllgorau yn cynrychioli ysgrifenwyr yn y carchar, hawliau ieithyddol a chyfieithu, merched sy’n ysgrifennu ynghyd â phwyllgor heddwch. This performance is part of a Wales PEN Cymru project to support Kurdish linguistic rights. 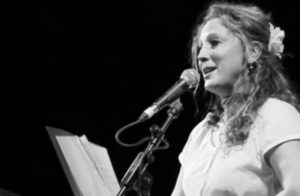 Kurdish and Welsh musicians and poets come together to create an evening of songs, folk tales and poetry and to demonstrate a shared struggle for linguistic rights. Performers include Ali Sizer (Kurdish musician and activist), Geraint Rhys (Welsh singer/songwriter) and clare e. potter (poet). Ali Sizer, singer in the Kurdish dengbej tradition and saz player, has been working alongside a group of women from the Kurdish Community Centre in Newport and this evening they will sing for us some traditional Kurdish stories. Ali Sizer will perform and will be joined by Welsh musicians and poets. Wales PEN Cymru is one of the 145 PEN centres in more than 100 countries across the world. It is affiliated to PEN International which is the leading voice of literature worldwide. PEN promotes literature and defends freedom of expression. It campaigns on behalf of writers around the world who are persecuted, imprisoned, harassed and attacked for what they have written. It has committees representing writers in prison, translation and linguistic rights, women writers and a peace committee. Ali Sizer is a Kurdish/Alevi (Qizilbash) dengbej (bard singer), narrator, poet, musician, TV and radio personality. 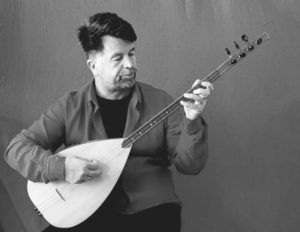 He writes and composes music largely in Kurdish (Kurmanci), as well as in Turkish, in Alevi/Qizilbash tradition. Ali describes himself as servant of humanity and describes his musical style as mystic Sufi. Ali says that all his efforts in life are devoted to the oneness of humanity. 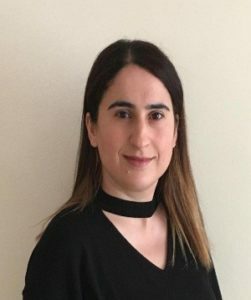 I am Ayşe Altun, I have been living in Wales for 19 years, past 10 years in Cardiff. I am a single mother to a daughter called Berfin (17) and a son Burak (19). Kurmanji Kurdish is my mother tongue but I can speak Kurdish languages of Zazaki, Sorani and Gorani too. I am not literate in any of these languages. As a Kurdish woman I feel myself close to Welsh people. I am proud of my Kurdish identity. Ayse will sing Malan Barkir with Guley Yoldas Brennan and Ali Sizer. I am Ayşe Goçer. I have been living in Newport, Wales for 13 years. I have two sons, Eren and Arda, and a daughter called Damla. My mother tongue is Kurdish. I am proud to be Kurdish. Ayse will sing Oy Oy Ate with her friends. 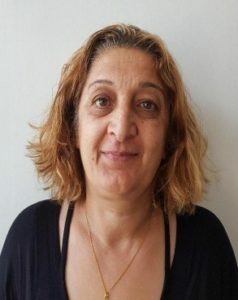 I am Fatma Çagış, I am married, and I have one son called Tahir (17). I live in Newport, Wales for 10 years. Kurdish is my mother tongue. I can speak it however I cannot read or write in Kurdish. It is my wish that all mother tongues can be used freely. Fatma will sing Oy Oy Ate with her friends. I am Esra Bulut. I have been living in Wales for 5 years. I am married and mother to a 17 year old daughter called Simge. My mother tongue is Kurdish. I am very happy to be living in Wales. I see a lot of similarities between Welsh and Kurdish people. Esra will sing Oy Oy Ate with her friends. 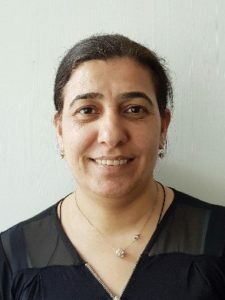 I am Hatice Akbulut, I am married and mother of 3 daughters. I have been living in Cardiff, Wales for 12 years. I am part of this event to represent my language Dersimce (the dialect of Zazaki language spoken in Dersim). I wish that all the Kurds and other language groups in Turkey can speak their languages freely. 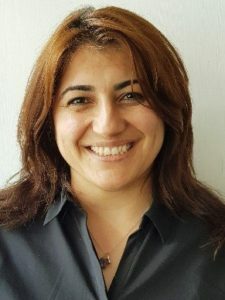 Hatice will read a Zazaki text in Dersim dialect to introduce the klam ‘Şüara Piluné Désimi’. I am Güley Yoldaş Brennan. I have been living in Newport, Wales for 10 years. I am married and mother to a son. As someone who loves nature I love living in Wales. In addition to that I appreciate experiencing my identity as a Kurdish woman without oppression in Wales. Guley will sing Malan Barkir with Ayse Altun and Ali Sizer. 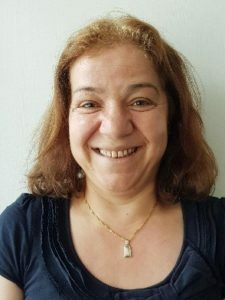 I am Sibel Şir. I have lived in Cardiff, Wales for 15 years. I have three beautiful daughters, Hazal (15), Melek (11) and Mira (1). My family is originally from Dersim and of Zaza ethnic origin. I grew up in the nearby city of Erzincan. I am proud of my origins and my language. Sibel will sing the Zazaki klam ‘Şüara Piluné Désimi’ solo. 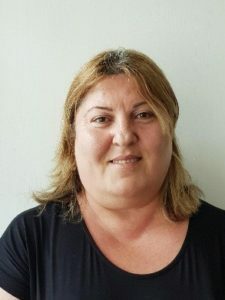 I am Şengül Killi, I am 46 years old, married and mother of two sons, Tacim and Sinan. I have been living in Newport, Wales for 10 years. My mother tongue is Kurdish, I speak Kurdish, but I cannot read and write in Kurdish. I wish my language to be more widely used. Şengül will sing Oy Oy Ate with her friends. I am Zeynep Fırat. I have been living in the UK for 20 years, past 10 years in Wales. I am married and I have two children, Yezda (9) and Berzan (4). Kurdish is my mother tongue, I speak Kurdish, but I am not literate in Kurdish. I wish for Kurdish to be a free language. I am proud to be Kurdish. Other contributors: Memet Ali Alabora, Filiz Celik, Sally Baker, Kemal Kahraman, Jeni Williams & Tom Cheesman. Dengbej is a particular tradition of music and poetry that is associated largely with the ethnic Kurdish, Zaza and Alevi populations of Turkey. Dengbej is the name of the person who recites particular events and occurrences in the form of poetry or composes songs from these poems. The poetry created by dengbej is called “klam”. Kurdish and Zaza languages have not evolved through written text and there is lack of documentation in these languages referring to the history of Kurdish and Zaza people. Intergenerational transmission of knowledge and continuation of culture relied on the oral tradition. Events and occurrences detailed by dengbej passed from one generation to another for centuries. Unfortunately, this tradition is largely lost now. Currently there are very few people creating dengbej and recording the existing ones. Metin and Kemal Kahraman brothers, who provided us with the klam “Şüara Pilunê Dêsımi” (Elders of Dersim) are among a few pioneers. Traddodiad penodol o gerddoriaeth a barddoniaeth yw Dengbej a gysylltir yn bennaf â’r boblogaeth Gwrdaidd Zaza ac Alevi yn Nhwrci. Dengbej yw’r enw ar y person sydd yn adrodd am ddigwyddiadau arbennig ar ffurf cerddi neu sydd yn creu caneuon o’r cerddi hynny. Yr enw ar y farddoniaeth a greir gan y dengbej yw “klam”. Nid yw’r ieithoedd Cwrdaidd a Zaza wedi datblygu trwy destunau ysgrifenedig ac ychydig o dystiolaeth ddogfennol sydd ar gael yn yr ieithoedd hyn ynglŷn â hanes y boblogaeth Gwrdaidd a Zaza. Roedd rhaid dibynnu felly ar y traddodiad llafar i drosglwyddo gwybodaeth o’r naill genhedlaeth i’r llall ac i warchod y diwylliant. Trosglwyddwyd disgrifiadau’r dengbej o ddigwyddiadau o un genhedlaeth i’r llall am ganrifoedd. Yn anffodus mae’r traddodiad hwn bellach wedi’i golli i raddau helaeth. 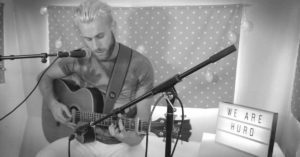 Ar hyn o bryd ychydig iawn o bobl sy’n creu yn y dull dengbej neu’n recordio’r rhai sydd yn bodoli eisoes. Ymysg yr ychydig arloeswyr mae’r brodyr Metin a Kemal Kahraman, a roddodd i ni’r klam “Şüara Pilunê Dêsımi”. Qırkerdena Dêsımi (1937-38) ronaena Cumurêtê Tırkiya ra tepia tede qetliamo tewr sistematik u ebe afat bi. Ebe hazaru ya ki des hazaru Dêsımıci kişiyay ya ki ebe des hazaru naca – acaê Anadoliye ro rusnay mefi (surgın); êyê ke ke pey de mendi ki, bınê bandıra qanun u zulmê hukımati de mendi. 1937ine Paijia Wertêne de jü dewa mekemey ebe fêlê şovi amê kerdene ke 72 mordemu ke ilava soynay bi cı ke inu sare dardo we, va ceza cı dê. Hurmetê qomi Sey Rızay rê zaf bi, o kemera qori bi ke dewlete na “sare wedardene” kerde vılê ey ra. Sey Rıza daheştae serre biyo. Gorê Qanunê Tırkiya’ê Ceza nêbiyêne ke jüyo ke 18 ra qıco ya ki 70 ra pilo, berzê ra dare. Surê dewa de jü sahido jüreker ardo, do vatene, serrê Sey Rızay pil nusnê, uyo 70 ra qıco. Ebe na qeyde serrê Sey Rızay ardê 67, serrê lacê ey’ê tewr qıci ki kerdê berz, vato Usên 21 serre dero. Mekemeo peyên 15ê Paijia Peyêna 1937ine de bi, pesewe sate 0:20 de. Heni fişt tê ke hona ke Atao ronoğê Cumurêtê Tirkiya’ê newey nêame ê cau, gereke idami bıamêne kerdene. Uyo ke a mıntıqa de idareo urfi (OHAL) est bi, heqa mekeme vıraştene u tesdiqê qeraranê dewa kerdene serverê eskeriya dest de bi. Mekeme ebe Tırki bi, meznunu ki Zazaki (Kırmancki, Zonê Ma) qesey kerdêne, inu ne dewa ne ki qerar areze kerdêne, nêşiyêne ser. Uncia ki, inu qese “idam” zanıto; uyo ke no qese nêamo vatene, meznunu heni zanıto ke idam çino, zırçê, vato, “idam çino”. Mekeme ra herbina tepia nê 7 mordemi eşti ra dare. Hona ke Sey Rıza nêeşto dare, cı ra pers kenê, nımac keno ya nê, vano, nê. Eke dilego peyên pers kenê, vano, “40 lira mı, jü ki sata mı esta, bıdê lacê mı”. A deqa cı ra vanê ke lacê ey ki erzenê ra dare. Nae ser vano, “o taw mı lacê mı ra raver berzê dare.” Hama a helme de lacê ey eştêne ra dare. Sureo ke ey finê dare, kındır kenê vıle ra, Sey Rıza qireno, “Ewladê Kerbelayme, bêxetayme, bêgunayme. Aybo, zulmo, cinayeto!”, ebe xo lınge dano kurşi ro. İdamu ra tepia ne cınaza Sey Rızay ne ê binu da mordemanê inu ne ki hurendia mezela inu musna ra cı. Hata ewro pil u kamılê Dêsımi hurendia mezelanê inu pers kenê. Bınê zorê dewlete ver nê weqati nêgırotê wesiqa (belge), sarê Dêsımi ki ney sero hona şia gırê dano. Lawık u şüarê sarê Dêsımi zobinaê; heqiqatê tarixi anê ra mordemi viri, pê dec u khulê xo anê ra zon, sereşiaina xo kenê senık. Şüara “Ax de vaji” jü mısala; anor dano pilanê Dêsımi, êyê ke nêverdo bile meytanê xo wedarê. Na şüare senatkaranê namdaru Metin u Kemal Kahramani gırota qeyd. Bıray Kahramani (Qeremani) na şüare Sey Mamud Yıldıji (Nejdi Bavay) ra musê. Sey Mamud (Nejdi Bava) 1932ine de amo dina u Qırkerdena Dêsımi (1937-38) de xeleşiyo ra. Nao 40 serro suka Almanya Berlin de maneno, raa xu’ya kılamun u lawıku vatene rameno. Sey Mamud Yıldıji na şüare nia besta tê, taê varytanti sanıtê pê. Vano, na şüare epey derga, hama çı hêf ke hende ano ra xo viri. Na şüare Hesenê İvraimê Sılê İmami veta. Ebe xo sair u khamorre biyo. Kemane u thamur cınıto, lawıki bestê tê. Ê 72 tenê ke o sure veto mekemê şovi, o ki tey biyo. Ey ceza hepışi gırota. 1947 o ceza xo keno temam u cêreno ya Dêsım, naca hata peyniya emrê xo maeneno. Qese u qeydê na şüare ey besto tê; ê 7 tenê ke eştê ra dare, inu sero vata. The Dersim Massacre (1937-38) was the most systematic and destructive Post-Republican massacre in Turkey. The people of Dersim were annihilated in their thousands or even tens of thousands, or were exiled to various parts of Turkey, also in their tens of thousands; the remains of their community was subjugated through government policies and practices. In October 1937 a show trial was held to prosecute 72 individuals identified as the rebels. Seyit Riza was a well-respected member of the community and came to be associated with the resistance movement in Dersim. Seyit Riza was estimated to be 80 years old. Turkish Penal Code did not permit execution of minors and people aged over 70. A false witness was called in during the trials to confirm that Seyid Riza was registered on his birth certificate older than he actually was. On the statement of witnesses Seyit Riza’s age was reduced to 67 and his youngest son Huseyin’s age was increased to 21. The final trial was held on the 15th of November 1937 starting at 00:20 after midnight. The arrangement was made so that the executions could take place before the visit of the Founding Father of the new Turkish Republic to the region. As the region was under State of Emergency rule the right to appeal to tribunals was withheld and the decision of the courts was confirmed by the military governor of the region. The trials were held in Turkish, the defendants were Zazaki speakers. They could neither understand the proceeding nor the outcome. However, they knew the word “idam” meaning execution and as this word was not used defendants began expressing relief saying “idam çino” “no executions”. All 7 defendants were executed immediately after the trials. Seyit Riza’s final moments are told thus; an imam asked Seyid Riza if he wanted to pray to Mecca but Seyit Riza refused. When asked about his last wishes he said: “I have 40 lira (Turkish currency) and a watch, give these to my son”. At that moment he was informed that his son would also be executed. He then said his last wish was to be executed before his son but this too was denied. Upon being taken to the gallows, with the rope around his neck, he shouted in his native tongue: “We are children of Karbala, this is a sin, a shame, a brutality, a murder” – and he pushed the chair from beneath his feet. Following the executions, neither Seyid Riza’s nor the others’ bodies were released to their families, nor the whereabouts of their graves revealed. To this day elders of the Dersim wait for their funeral to be held. Repressed by the official discourses, the facts are not documented, and the loss cannot be fully mourned. The traditional music provides another language in Dersim; it holds the facts of the story and helps with articulation of the pain and suffering, facilitating the mourning. The klam ‘Ax de Vaji’ (Şüara Pilunê Dêsımi) is an example of this. It honours the elders of the Dersim who were even denied funerals. The klam was recorded by famous Zaza musicians, the brothers Metin and Kemal Kahraman. The Kahraman Brothers learned of this klam from Seyid Mahamut Yildiz. Seyid Mahmut Yildiz was born in 1932 and survived the Dersim Massacre (1937-38). He has been living in Berlin, Germany now for over 40 years and continues this tradition of poetry and singing in Germany. Seyid Mahmut Yildiz completed this lament by amalgamating a number of different versions. He says that the lament is much much longer but unfortunately this is as much as he could remember. The original creator of the lament was Hesenê İvraimê Sılê İmami. He was a poet and a warrior. He played violin and tambur and composed music. He was among the 72 defendants at the show trial. He was sentenced to imprisonment. He completed his sentence in 1947 and returned to Dersim and lived there until the end of his life. This lament, written to mourn the seven defendants who were executed, was written and composed by him. Y Gyflafan Drosim (1937-38) oedd y gyflafan ôl-weriniaethol mwyaf systematig a dinistriol yn Nhwrci. Cafodd pobl Dersim eu difodi yn eu degau o filoedd, neu eu heithrio i wahanol rannau o Dwrci; roedd gweddillion eu cymuned wedi darostwng drwy bolisïau ac arferion y llywodraeth. Ym mis Hydref 1937, cynhaliwyd achos sioe i erlyn 72 o unigolion a nodwyd fel gwrthryfelwyr. Roedd Seyit Riza yn aelod parchus o’r gymuned ac fe ddaeth i gysylltiad â’r mudiad gwrthiant yn Dersim. Amcangyfrifwyd bod Seyit Riza yn 80 mlwydd oed. Nid oedd Cod Penyd Twrcaidd yn caniatáu dienyddio pobl ifanc dan oed a phobl dros 70 oed. Galwyd tyst ffug i gadarnhau bod Seyid Riza wedi’i gofrestru yn hun nag ydoedd ar ei dystysgrif geni. Gostyngwyd oed Seyit Riza i 67 a chynyddwyd oed ei mab ieuengaf Huseyin i 21. Cynhaliwyd y treial terfynol ar y 15fed o Dachwedd 1937 gan ddechrau am 00:20 ar ôl hanner nos. Gwnaed y trefniant fel y gellid cynnal y dienyddio cyn ymweliad Tad Sylfaenol y Weriniaeth Dwrci newydd i’r rhanbarth. Gan fod y rhanbarth dan reolaeth Wladwriaeth Brys, cafodd yr hawl i wneud cais i dribiwnlysoedd ei wrthod a chadarnhawyd penderfyniad yr apêl gan lywodraethwr milwrol y rhanbarth. Cynhaliwyd y treialon drwy Twrciaidd, er bod y diffynyddion yn siaradwyr Zazaki. Ni allent ddeall yr achos na’r canlyniad. Fodd bynnag, roeddent yn gwybod bod y gair “idam” yn golygu dienyddio a gan iddynt beidio defnyddio’r gair hon, wnaeth y diffynyddion fynegi rhyddhad gan ddweud “idam çino” “dim dienyddio”. Cafodd 7 diffynnydd eu dienyddio yn syth ar ôl yr achos. Dywedir mai dyma oedd eiliadau olaf Seyit Riza; gofynnodd imam I Seyid Riza os oedd am weddïo i Mecca ond gwrthododd Seyit Riza. Pan ofynnwyd iddo am ei ddymuniadau diwethaf dywedodd; “Mae gen i 40 lira (arian Twrci) ac oriawr, rhowch y rhain i’m mab”. Ar yr adeg honno dywedwyd wrtho y byddai ei fab hefyd yn cael ei dienyddio. Dywedodd mai ei ddymuniad olaf felly oedd cael ei dienyddio cyn ei fab ond gwadwyd hyn hefyd. Wedi ei dynnu i’r grog, gyda’r rhaff o amgylch ei wddf, gweiddodd yn ei iaith frodorol; “Rydyn ni’n blant Karbala, mae hwn yn bechod, yn drueni, yn greulondeb, yn llofruddiaeth” a gwthiodd y gadair o dan ei draed. Yn dilyn yr ymgymeriadau, ni ryddhawyd cyrff Seyid Riza na’r cyrff eraill i’w teuluoedd, nac i ba raddau y datgelwyd eu beddau. Hyd heddiw, bydd henuriaid y Dersim yn aros am eu angladd. Wedi’i ailddechrau gan y dadleuon swyddogol, nid yw’r ffeithiau wedi’u dogfennu, ac nid yw’r golled yn galaru. Mae’r gerddoriaeth draddodiadol yn darparu iaith arall yn Dersim; mae’n dal ffeithiau’r stori ac yn helpu i fynegi poen a dioddefaint, gan hwyluso’r galar. Mae ‘Ax de Vaji’ (Şüara Pilunê Dêsımi) yn enghraifft o hyn. Mae’n anrhydeddu henuriaid y Dersim a wrthodwyd angladdau iddynt hyd yn oed. Cofnodwyd y “klam” gan y gerddorion enwog Zaza, Metin a Kemal Kahraman Brothers. Dysgodd y Brodyr Kahraman am y klam hwn gan Seyid Mahamut Yildiz. Ganed Seyid Mahmut Yildiz ym 1932 a goroesodd ymosodiad Dersim (1937-38). Bu’n byw yn Berlin, yr Almaen bellach ers dros 40 mlynedd ac mae’n parhau â’r traddodiad o farddoniaeth a chanu yn yr Almaen. Cwblhaodd Seyid Mahmut Yildiz y galar hwn trwy gyfuno nifer o fersiynau gwahanol. Dywed fod y galar yn llawer hirach yn wreiddiol ond yn anffodus mae hyn yn gymaint ag y gallai ei gofio. Crewr gwreiddiol y galar oedd Hesenê İvraimê Sılê İmami. Roedd yn fardd ac yn rhyfelwr. Chwaraeodd ffidil a tambur a chyfansoddodd gerddoriaeth. Roedd ymhlith y 72 diffynnydd yn y treial sioe. Fe’i dedfrydwyd i garchar. Cwblhaodd ei ddedfryd yn 1947 a dychwelodd i Dersim a bu’n byw yno tan ddiwedd ei fywyd. Cyfansoddodd y galar yma dros y 7 diffynnydd a gafodd eu dienyddio. Ez to ra mevaji, roê mı, kami ra vaji? Meytunê ma bile ma nêdanê, vêsnenê, kerdê ğezalê serê saji. Oli Diwa’ de coru cı ra mebe raji. Kılamê da bina ke dec u khulê Dêsımi sero, şüara “Daê Daê”ya. Na şüare zafeteni zanê. Têbestoğê na şüare vanê Memed Çapano. Another klam about the pain and suffering of Dersim: “Mother, Mother”. This is widely known, the creator is said to be Memed Çapan. Klam arall am boen a dioddefaint Dersim o’r enw “Mam Mam”. Mae’r un hon yn wybodus, fodd bynnag, dywedir mai Memed Çapan yw’r crewr. What did you see, what has happened? Beth weloch chi, beth sydd wedi digwydd? Qırkerdena Dêsımi ebe mekemanê Paijia Peyêna 1937i nêqediye, nia dest kerdo cı. Esker usarê 1938i de cêra ya, pê tertele u qır kerdene dewam kerd. Paizê 1938i de gorê beyanatanê resmiyu 13.160 mordem kişto, 11.818 ki rusnê menfi (surgın), caanê ğerbê Anatoliye rê. Lawıka cêrêne anonima, nêzanino kami besta tê. Hal u hêketa goçi ebe çımê jüy ana ra zon, uyo ke royala xo kişiya u jü ki zora rusno menfi. Na lawıke Kırdaskiya (Kurdki), Malan Bar Kir “Çêu bar kerd”. The Dersim Massacre did not end with the trials and executions in November 1937. The army returned in the spring of 1938 and the massacre continued. In the autumn of 1938 official figures state that 13,160 people were killed and 11,818 were sent into exile in different parts of Western Turkey. The song below is anonymous. It tells the story of migration through the eyes of lovers, one of whom is killed and one of whom is forced into exile. This one is in Kurmanji Kurdish. Ni ddaeth y Massacre i ben gyda’r treialon a’r diddymiadau ym mis Tachwedd 1937. Dychwelodd y fyddin yng ngwanwyn 1938 a pharhaodd y gyflafan. Yn hydref 1938 mae ffigurau swyddogol yn nodi bod 13,160 o bobl wedi eu lladd ac alltudiwyd 11,818 i wahanol rannau o Orllewin Twrci. Mae’r gân isod yn anhysbys. Mae’n adrodd hanes mudo trwy lygaid cariadon, lladdir un ohonynt ac alltudiwyd y llall. 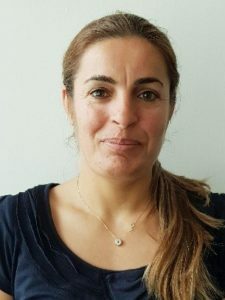 Mae’r un yma yn Kurmanji Kurdish. Tu ji sera hara, wara. Our song is a story of a love. A love that does not have a happy ever after. This is the story of Naze and Xisike…We have listened to this story since we were children and those who recited this story to us had listened to it since they were children, and perhaps those who told them the story had also listened to it as children. Two young people were not allowed to wed by the young girl’s father, because he had promised her to his sister’s son in marriage. The song tells the heartbreak of the young man who lost the love of his life. In this song, he speaks of the love he feels for his lover, the pain he that feels because they cannot be united, and the anger he feels towards the other young man she is engaged to. He speaks of his love to his mother and in repeating verses cries his heartbreak to his mother, called “ate” in Kurmanji Kurdish. The song is sung in two different regions in Turkey. It is understood that the story is more than 150 years old. The Xelikan branch of the Reşwan tribe, exiled by the Ottoman rulers to Cihanbeyli, 700 km south of Adiyaman, took this song with them to the region. Stori serch yw ein cân. Serch nad oes iddo ddiweddglo hapus. Dyma stori Naze a Xisike… Rydym wedi clywed y stori hon er pan oeddem yn blant, ac roedd y rhai a adroddodd y stori wrthym wedi ei chlywed er pan oedden nhw’n blant, ac efallai fod y rhai a adroddodd y stori wrthynt hwythau wedi ei chlywed pan yn blant. Nid oedd dau o bobl ifanc yn cael priodi am nad oedd tad y ferch yn fodlon: roedd o wedi addo ei rhoi yn wraig i fab ei chwaer. Mae’r gân yn sôn am dorcalon y dyn ifanc sy’n colli cariad mawr ei fywyd. Mae’n sôn am y cariad a deimla tuag at y ferch, a’r boen a ddioddefa am na allant fod ynghyd. Mae hefyd yn sôn am ei ddicter tuag at y dyn ifanc arall sy’n ddyweddi iddi. Mae’n dweud hyn i gyd wrth ei fam, gan ailadrodd ei gri dorcalonnus wrthi, ‘ate’, sef ‘mam’ mewn Cwrdeg Cwrmanji. Cenir y gân mewn dwy ardal wahanol o Dwrci. Credir bod y stori dros ganrif a hanner oed. Aeth cangen Xelikan y llwyth Reşwan, a alltudiwyd gan y llywodraethwyr Otomanaidd i Cihanbeyli, 400 milltir i’r de o Adiyaman, â’r gân gyda nhw i’r ardal honno. mae angau fel aur melyn. Syrthiais mewn cariad â geneth hardd. Ond maent yn ei rhoi i fab ei modryb. Boed i gyllell drywanu ei galon. Syrthiodd y nos, mae arnaf ofn. Daeth y gaeaf, rwyf yn oer. Dymunaf dân yn eu cartref. Am ein cariad ni’n dau. Minani çıloye dara dihatin xare. Am filltiroedd maith a dros y tir. Hold on to all you have and be counted for. Long is the cold, the wind is close behind us. as he waits, impatient to strike iron. What does the Sound Sea Like? For some, a first trip to the beach. over rocks, desperate to reach the sand. the wheelchair, left empty on the path. Another variety of . . . I can keep this shell!? You mean, I can take it home!? Yes. Yes, all of it. You can take it all home. It’s yours—the sand, the sea, the being free. Largest ethnic minority group in Turkey. Zaza is another ethnic minority, historically cohabiting Eastern Anatoli. Kurds and Zazas share the same cultural and traditional references and way of life. However, Kurds and Zazas speak mutually unintelligible languages. Alevis are the largest religious minority in Turkey. There are Kurdish, Turkish and Zaza Alevis. Dengbej is a strong part of Alevi tradition. There are dengbej in Turkish language, called “Asik Gelenegi”.